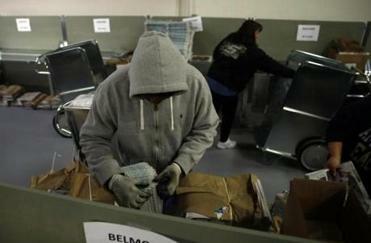 Newspapers were packaged at a Boston Globe delivery distribution center in Medfield earlier this month. NEWTON — The regular carriers were long gone, and all the newspapers should have been gone with them. So it was in great frustration that John W. Henry, The Boston Globe’s owner and publisher, stood alone at a crude table in an austere distribution warehouse last Sunday browsing printouts of unstaffed delivery routes laid neatly upon each other like cards in a solitaire game. “It’s 6,400 papers,” he said, grimly, to no one in particular. Nearly every one of those copies of his flagship product, the Boston Sunday Globe, would remain undelivered that day. More than 6,000 subscribers would again open their doors to no morning paper, fully two weeks into a bizarre crisis in which the Globe’s switch to a new distribution partner, ACI Media Group, led to a delivery service meltdown. The situation has been a daily irritation to a sizable number of subscribers, but in the business offices of the Globe, it has been a painful lesson in old-world logistics for an increasingly digital company. While Internet readers can summon the Globe on virtually any screen in the world, the business model is still intimately bound to paper-and-ink production and an army of drivers that fans across the region in the early hours of every morning, 365 days a year. If the way the Globe and other papers are distributed runs afoul of state or federal labor laws, distributors must change their employment practices. And for all the trouble and heartache it has caused for the Globe, interviews with key executives within the organization reveal that the root of the delivery mayhem lies in something so simple that nobody gave it much thought until it was too late: sensible paper routes. “Because route sequencing is a relatively easy part of such a difficult process, our team never called out sequencing as a major problem until we learned of it in real time,” said Andrew Perlmutter, executive vice president of Boston Globe Media Partners, who led the project. For Henry, changing distribution vendors overnight on Dec. 28 was another aggressive move in a two-and-a-half year stewardship of the Globe marked by calculated risks, and a philosophy that newspapers cannot survive with a business-as-usual approach. Planning is underway to move printing operations to a new plant in Taunton, complete with updated presses. The paper’s white-collar departments will decamp from the Globe’s thread-worn Dorchester building to leased space in a downtown Boston tower. Henry has made a push into digital specialty publications with the November launch of STAT, which covers the life sciences. Tech gurus at the Globe are increasingly using online reader metrics to identify the best times to post enterprise stories to the paper’s website, and Henry has installed new executives for fresh perspectives on longstanding industry problems, such as declining print circulation. The switch in delivery partners was a variation on these themes, and the yearlong discussions around it exposed tensions within a business that operates as both a 20th-century manufacturer and a digital-age information firm, according to those with direct knowledge of the decision. Globe executives with a foot in the old world — those with experience printing and delivering a physical product — raised questions about ACI’s business model when an internal Globe team vetted the company in 2015. ACI trims costs by using fewer distribution centers and drivers, and longer routes. The executives questioned whether a model that worked in other communities would be successful over the twisty cowpath streets of claustrophobic Greater Boston. In the end, the Globe’s internal team came to a consensus that the paper could cut costs and improve service by hiring ACI to replace the Globe’s main distributor, Publishers Circulation Fulfillment, also know as PCF. A cart full of Sunday Boston Globe newspapers was walked out of a Newton distribution center earlier this month. But the switch started rocky and then got worse. Tens of thousands of newspapers sat undelivered on loading docks the first week, while irate subscribers overwhelmed the Globe’s phone lines to the point that calls couldn’t be placed from the newspaper’s vast building. Readers who called at peak times were directed into robotic phone trees where long waits on hold could end with busy signals. Cancellations spiked, and employee morale was shaken by the flood of reader complaints and the elusiveness of a quick fix. Henry, who late last summer blessed the plan to switch delivery partners, said he was unaware that significant concerns had been raised and debated by the team in charge of making the recommendation. The problem that turned what was inevitably going to be a disruptive process with some growing pains into a full-blown disaster appears head-slappingly basic. ACI initially gave its drivers poorly sequenced delivery routes that took much too long to complete. It forced drivers to crisscross communities, sometimes making multiple trips through neighborhoods, hours apart. Upwards of 100 drivers — many of whom had second jobs they needed to get to after their routes — quit in the first few days. More and more routes went unfilled, leaving thousands of papers sitting on loading docks, according to Globe officials. Globe executives acknowledge they did not review the routes before the switch, beyond “a small sample” on which they offered feedback. An ACI executive did not return messages seeking comment this week. The switch to ACI followed a year of review, beginning in late 2014, when Globe officials began to look ahead to the coming expiration of the paper’s delivery contract with PCF at the end of 2015. Globe officials saw an opportunity to potentially do something dramatic to address a slow bleed of print subscribers. As is typical in the industry, the Globe may see its subscription rolls fall by a couple hundred subscribers in a given week, leading to annual losses of about 6 percent, said Peter Doucette, the Globe’s vice president of consumer sales and marketing. Of those who leave, about half cite inadequate delivery service as the reason for their cancellation, Globe officials said. Perlmutter, who was brought to the Globe by Henry after previously working for the Newsweek/Daily Beast Co. and the Atlantic Media Co., announced in the fall, prior to the delivery problems, that he would be leaving the Globe in February to move to California. The internal team he led to review home delivery included Doucette; Richard E. Masotta, Globe vice president of operations; and Sean Keohan, chief operating officer, as well as outside consulting help. The group occasionally briefed Mike Sheehan, the chief executive officer of the company. The team concluded the Globe was paying its vendor more than virtually any other newspaper in the country for home delivery, far more than the industry average, several Globe officials said. The members tried renegotiating with PCF for a lower price and changes to its distribution system, but in early 2015, began to vet ACI and other vendors. Members of the team declined to detail how the internal concerns over ACI’s business model played out, though Keohan, a Globe veteran, acknowledged “there was very healthy debate.” The team expected the Globe could save between $3 million and perhaps $8 million or $9 million with the switch, and retain more subscribers. Perlmutter said the team’s recommendation to Henry was unanimous: Go with ACI. Immediately, the Globe team saw the transition would be a challenge: The paper’s expiring contract with PCF lacked language to compel the company to help transition to a new distributor, and the Globe team was unable to negotiate a transition period with PCF during which both vendors would work side-by-side, team members said. That meant the switch had to be made overnight, the most difficult way to do it. ACI warned there would be service disruptions, which Globe executives said they were willing to live with in the short term as the change took place. 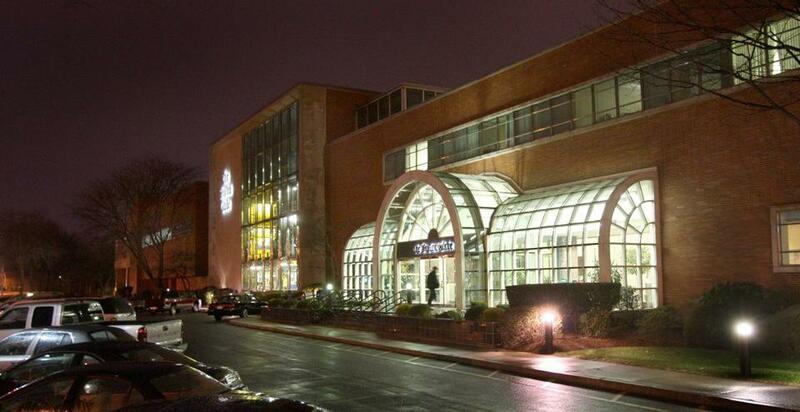 The Boston Globe building on Morrissey Boulevard in Dorchester. By Day 1, a Monday, ACI had hired all but about 50 to 60 of the drivers it needed, according to members of the Globe team. A roughly 10 percent driver shortfall was not immediately alarming — it is not uncommon for the distribution network to be short nearly that many in the depths of winter, when the already tough job of home delivery is the most difficult, Doucette said. In those cases, unstaffed routes are temporarily divided among other drivers, or picked up by the delivery company’s managers. 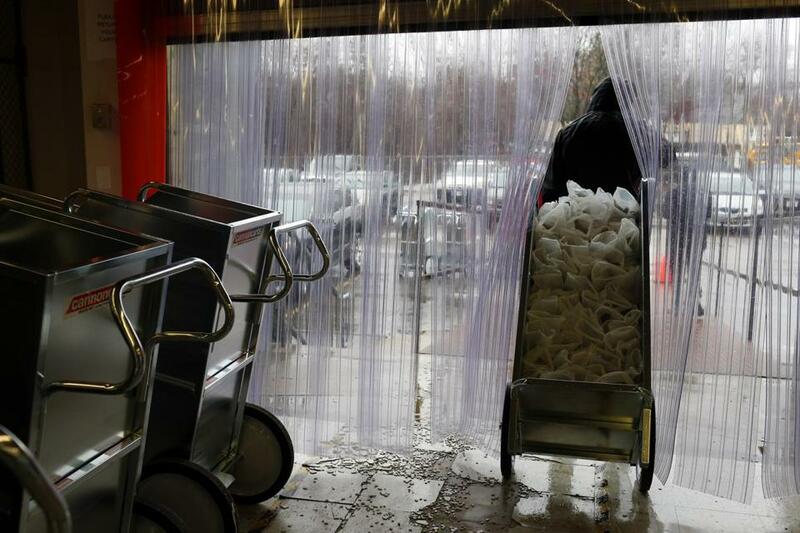 But by the end of the first day, ACI had left several thousand papers on the loading docks. Globe officials said they were caught by surprise, but expected swift improvement. What they didn’t yet know was that drivers, frustrated by jumbled routes, were already quitting in droves. Within days, 150 routes were unstaffed, and service was deteriorating. On Day 3, Perlmutter e-mailed Henry and Sheehan to report delivery problems that morning had been severe. The expectation proved wildly optimistic: Non-deliveries continued by the thousands, and Globe executives realized they had a budding catastrophe on their hands. Typically, the Globe fields 2,000 reader calls a day: delivery complaints, billing questions, and other issues. In the first week after the switch, the Globe logged 112,000 reader complaints by phone and e-mail. Doucette said the paper was ready to handle double or triple the normal number of calls after the switch to ACI, but not the overwhelming number that poured in. The paper’s telephone technology could not handle the volume, which made it impossible for many calls to get through, he said. The staff scrambled to upgrade the phone system during the crisis. The incoming flood of complaints swamped a new in-house call center of about 25 people, as well as off-site call representatives in the US and the Philippines. He said the Globe now has more than 100 people fielding reader calls. The paper set up a volunteer call center in the bowels of the building for employees, including journalists, to help field complaints. On Sunday, Jan. 3, dozens of employees from the advertising and IT departments, as well as the newsroom, volunteered to pick up unstaffed delivery routes, yet 3,000 to 4,000 papers still never left the docks. That afternoon, ACI chief operating officer Jack Klunder met privately at the Globe with Sheehan and members of the team that had recommended ACI to Henry. Sharp words were exchanged. On Klunder’s way out, he stopped for a 30-minute interview with two Globe reporters, during which he said the paper had not properly prepared its readers for service disruptions. While Klunder gave his interview, Globe officials behind closed doors were already discussing plans to bring back PCF. The paper on Jan. 5 announced a new home delivery deal with PCF to cover about half of its Greater Boston subscribers. ACI agreed to amend its contract to reflect its reduced responsibilities. PCF took over a portion of its new turf last Monday and is expected to take over more this Monday, Sheehan said. Henry also issued a public apology for the delivery problems. 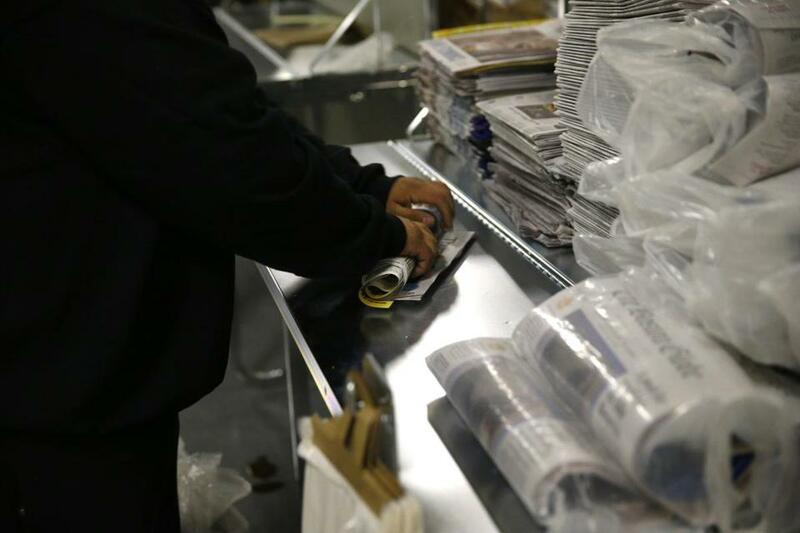 With another Sunday delivery to get through, a late call went out to the Globe news staff for volunteers on Jan. 10. With little notice that help was needed, the volunteer effort was less effective than the previous Sunday. The sense of employee camaraderie was also less evident, replaced by growing frustration. That morning, a group of about 15 North Shore delivery drivers walked off the job, saying ACI and its local subcontractor did not offer enough work to each driver and forced them to pick up papers from a far-off distribution center in Woburn. With PCF now back on board, complaints are coming down, Globe officials said, though they remain way above normal and an undetermined number of readers are still not receiving deliveries. Mark Arsenault can be reached at mark.arsenault@globe.com. The address for subscribers experiencing delivery problems is customerservice@globe.com.